If you ask me, there are few things more satisfying on a morning commute to work than a simple yet challenging iOS game. Many a morning I have spent playing the likes of Super Hexagon and Pivot, and there’s a lot to be said for a touchscreen game with uncomplicated controls, decent chiptunes and a taxing, but not frustrating, challenge. This morning, it was Simian.Interface’s turn to prepare my mind for another day, and while it lasted only half the length of my journey, it’s certainly a damn fine way to pass the time. Originally devised as a browser game and later ported to iOS, it’s a little tough to describe the aim of this rather abstract puzzle game. From the very start, you are given little explanation ofwhat is required of you, but the basic premise is simple and intuitive after just a few seconds of thought on your part. In the first level, you are given a solid white square and a white square outline. Tilting the device (or swiping, if you change the settings) will move both objects around, and you soon realise that the aim is to move the white square into the outline, to get to the next challenge. 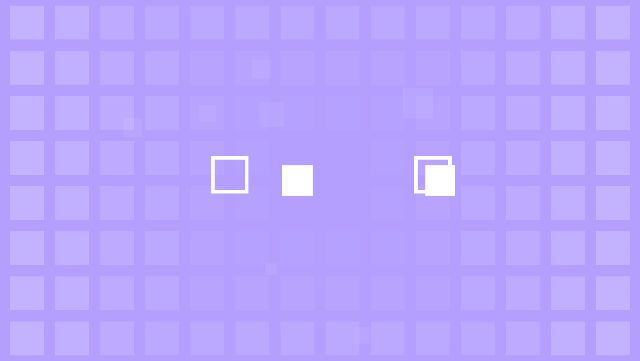 Later levels play with this mechanic, with some using overlapping coloured objects to make white ones, or others that make patterns – but the idea remains the same. 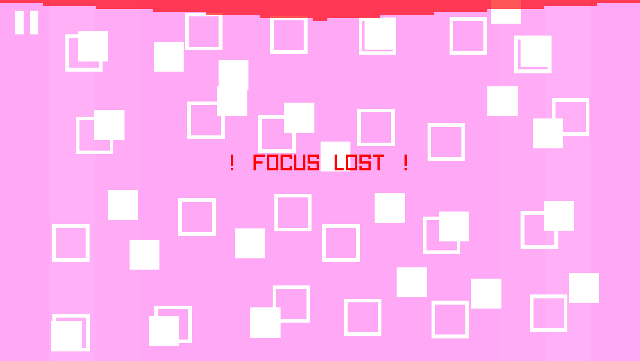 At first, it appears that there is only one solution to each level, and this solution is made easier by the fact that if you move objects too far in one direction, you are greeted with a “FOCUS LOST” message, which means you need to move in another direction. Because of this, it can be incredibly easy to just blindly move around in the hope that you do what the puzzle requires you to do. However, if you play each puzzle normally, it’s quite a calming type of brain teaser. What helps to calm the senses is a blend of abstract shapes and fantastic chiptunes. While I am beginning to feel a bit weary of both pixel art and chiptunes in iOS games, I don’t mind if they’re done well and help to give a game some needed character, and that’s exactly what is being done here. There is a very subtle narrative thread that ties the puzzling together, but it’s just a little window-dressing (not that there’s anything wrong with that). A handful of levels have a second pattern, hidden in the background. Finding and putting these pattern together correctly will eventually unlock some extra levels. But even a few extra levels don’t remedy Simian.Interface’s biggest issue, and that is its length. Once the puzzles start to get a little challenging, the game is over. I had finished every level and found every secret after about 25 minutes. VERDICT: While it lasts, this set of clever puzzles is a pleasant little time-waster. Sometimes it is better for a game to be over too early rather than too late, but that is only partly the case here. If there was a way of making the puzzles harder to solve by accident, as well as making more of them, then this would be great. Sadly, there’s not enough content or replay value to satisfy most players.